Discussion in 'Henshin Justice Unlimited' started by SamuraiEchidna, Apr 16, 2019 at 1:59 AM. 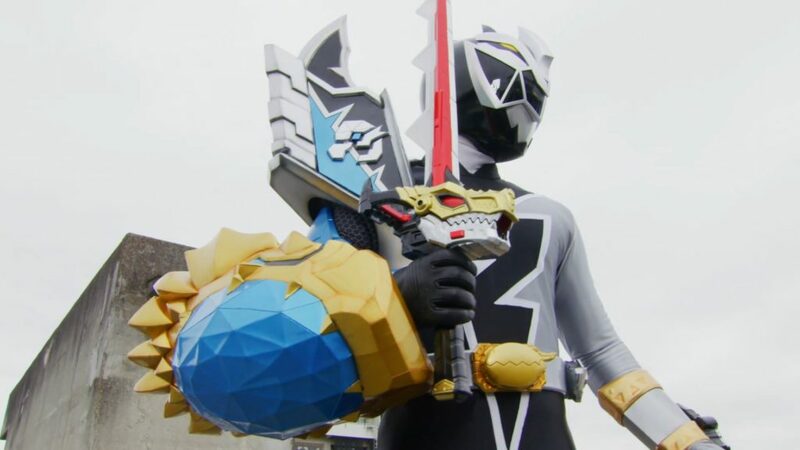 Welcome to the discussion thread for Dinoknight Sentai Ryusoulger, episode 05; "Hell's Watchdog". This week: As Towa begins to grow close to the staff of a local animal health center, he joins Koh when the latter confronts Tankjoh in an attempt to avenge Master Red. However, the two of them fall into a trap set up by the Druidon and the poisonous Cerberus Minosaur. Like, what was the beginning of that episode about? Did they really need to do all that with Ui to realize the Druidons are making the MOTW? Really? How is that NOT obvious? The only interesting thing is how previous hosts don't retain all their memories of being a host, but outside of that, the first few minutes of this episode were pointless filler. The artillery Ryu Soul keys don't seem to be adding much to the show. They get no introduction, the Rangers just randomly have them. Makes me wonder how many they'll have by the end of this, and if they are even necessary. The best ones were used to fight Tankjoh at the beginning of the episode, and it did nothing. Aren't these keys suppose improve your combat abilities? Tactical/Strategic abilities, maybe. But so far, they aren't doing much in terms of combat. Speaking of not doing much, did this episode even accomplish anything? Bamba thinks kindness is a weakness, but we all know he's going to come around on that since he has a soft spot for family. Towa's still poisoned, but we all know they're not going to kill off a member of the main five. Usually, defeating the MOTW means erasing any trace of its powers/abilities. I know tokusatsu tends to go back and fourth on that kind of thing, but if Tankjoh survived that final battle, does that mean the MOTW is also still alive? The end of this episode makes me think so. If that's true, then this whole episode was just a bunch of flashy filler accomplishing nothing! It's too soon in the series to be having filler like this! The only silver lining was seeing Koh back in good form. I know some people have been getting tired of his fish-out-of-water schtick. This was a bit better. He was still acting like his old reckless self, but now he's applying his master's lessons on the battlefield. I'd rather see more of this than what we've been seeing.